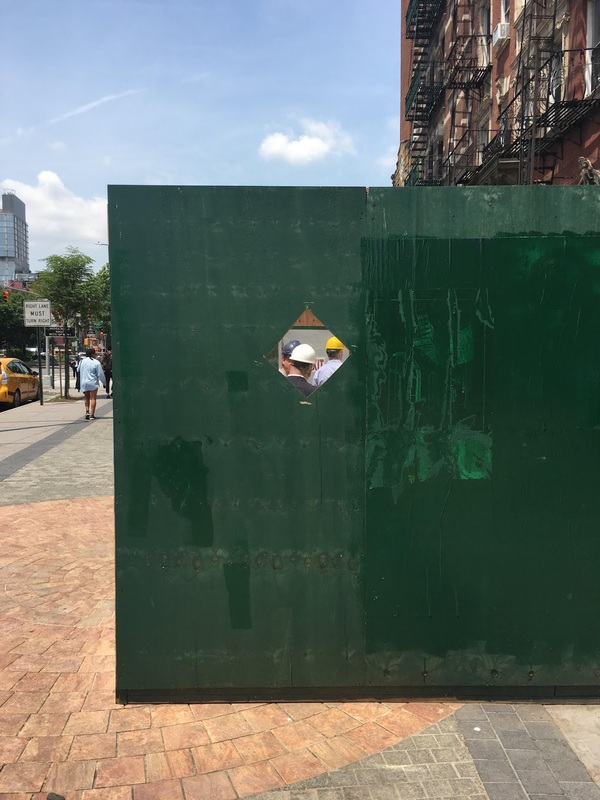 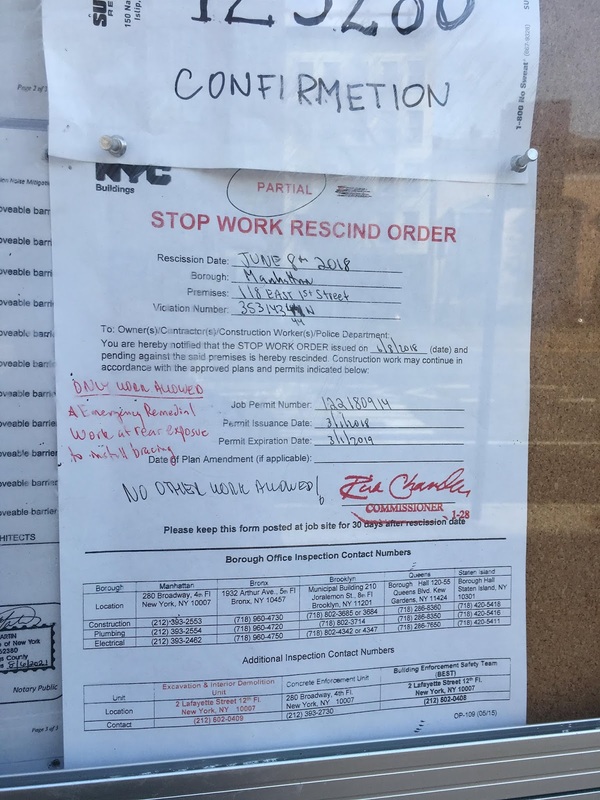 EV Grieve: A Stop Work Order at 118 E. 1st St.
A Stop Work Order at 118 E. 1st St.
Back on Friday, workers slapped a Stop Work Order on the plywood at 118 E. First St. near Avenue A. ... though the only work allowed for now is, per the paperwork, "emergency remedial work at rear exposure to install bracing." 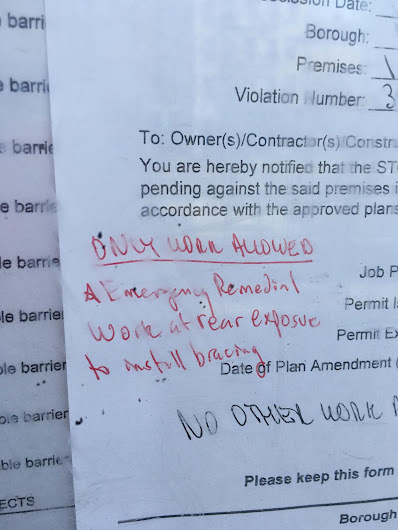 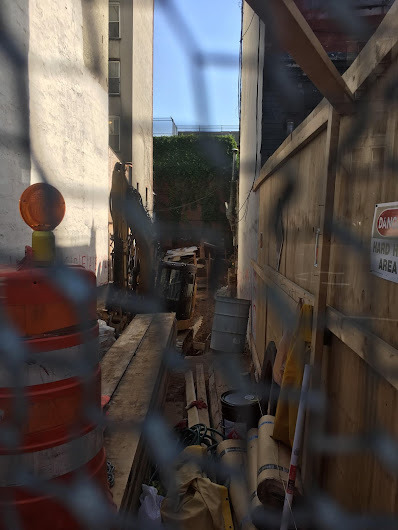 There is a complaint on file with the DOB stating that the excavation work is causing an adjacent building to shake, and cracks have developed. No. 118 will eventually yield a 9-story residential building with seven residences and a retail space. 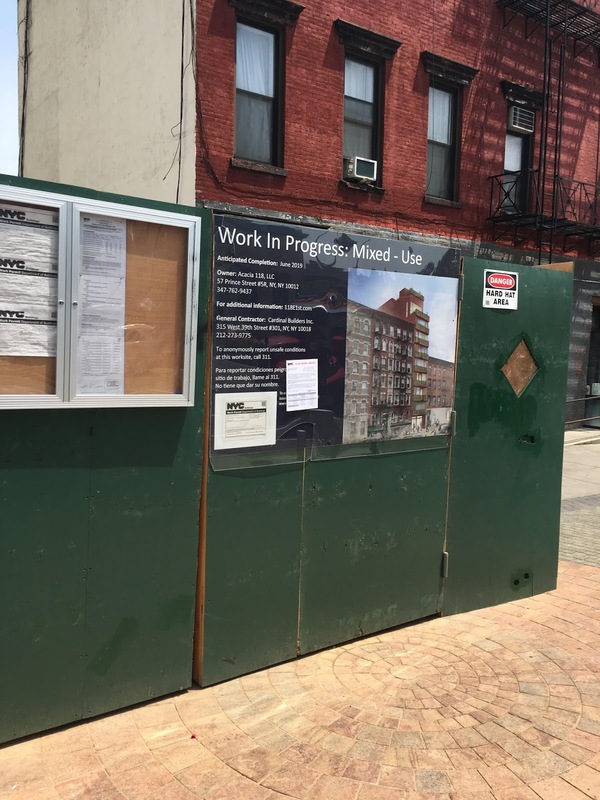 We had the first look at the rendering back on May 4.